Welcome to the Cuyahoga Falls Chapter NSDAR website! 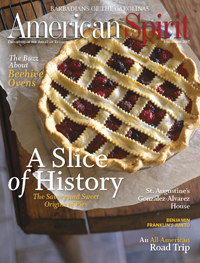 The National Society Daughters of the American Revolution is a women’s service organization and was founded on October 11, 1890, with a focus on historic preservation, education, patriotism, and honoring the patriots of the Revolutionary War. 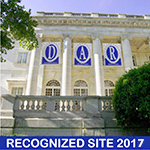 The DAR is headquartered in Washington, D.C., and is a non-profit, non-political volunteer women’s service organization. About DAR. What does the Cuyahoga Falls Chapter do? We are involved in many volunteer services to our community such as supporting our local schools through donations, awards, and scholarships, honoring and assisting local veterans, and supporting active military personnel. How can our chapter help you? If you are interested in learning more about the DAR, we invite you to join us at any of our scheduled meetings. We would love to meet you!